Back Packers Home is situated in Pokhara, this hotel is within a 10-minute walk of Ratna Mandir and Barahi Temple. Pokhara International Mountain Museum and Seti Gandaki are also within 3 mi (5 km). This hotel features a restaurant, laundry facilities, and a 24-hour front desk. Free WiFi in public areas and free self parking are also provided. Other amenities include tour/ticket assistance and a garden. All 14 rooms offer free WiFi, room service, and TVs with cable channels. Other amenities available to guests include free bottled water, safes, and showers. Located in the heart of Pokhara, this spa hotel is within 1 mi (2 km) of Pokhara International Mountain Museum and Davis Falls. 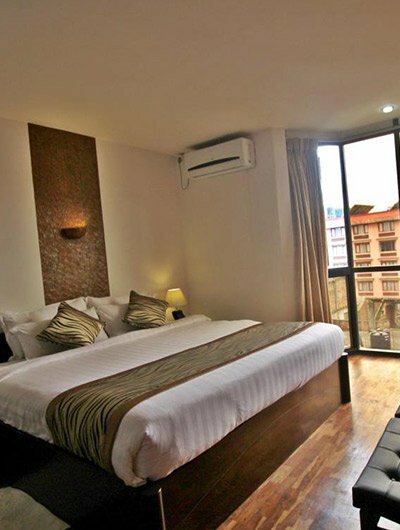 Situated in Pokhara, this hotel is within a 15-minute walk of Ratna Mandir and Barahi Temple. Pokhara International M ountain Museum and Davis Falls..